What's this? An Android Wear smartwatch that slipped under the radar? That was what flashed through our mind as we wandered around the ZTE stand at MWC and had our eye caught by the Axon Watch. But no, the ZTE Axon Watch is not an Android Wear smartwatch at all - although it does a bloody good job of pretending to be one. 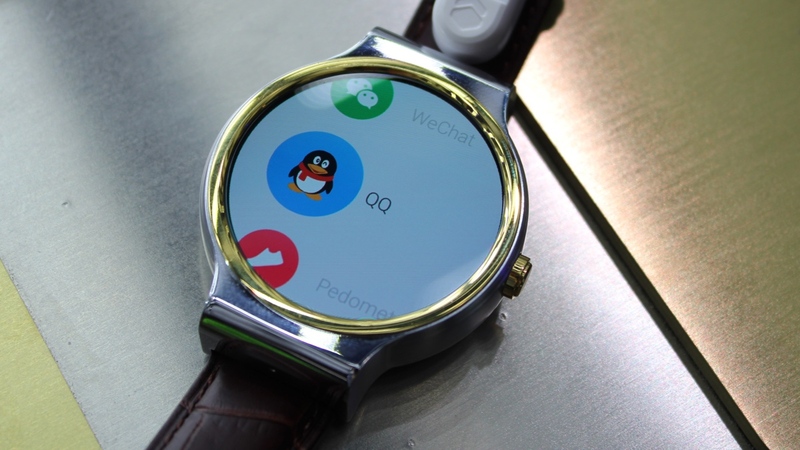 Looking a heck of a lot like the Huawei Watch, the ZTE smartwatch actually runs the Chinese Tencent's TOS+ platform, which is based on traditional phone-based Android. It went on sale in China just before Christmas but this is the first time we've laid eyes on it. We've recently praised Google for operating a strict door policy on the Android Wear party but if brands like ZTE are able to rip-off the search giant's smartwatch OS using its own software, what's the point? The Axon has a round 1.4-inch, 400 x 400, sapphire-coated circular display, and behind that sits a 1.2GHz quad-core Qualcomm processor, 512MB of RAM, 4GB of storage, Bluetooth 4.1 and a 300mAh battery. That's a pretty impressive spec sheet and we were actually blown away with the slickness of the device during our hands-on session in Barcelona. It's certainly no Chinese knock-off. It's a bit chunky but that's not a complaint that's exclusive to the ZTE Axon. The screen has a 286ppi count, which is high for a smartwatch. It looks great. And it's super responsive. But it just feels so Android Wear. Every swipe brings up an almost exact replica of what you'd get with the same action on an AW device. The Axon Watch is unlikely to see the light of day outside of its native China, which is a real shame. Throw a real version of Android Wear into the Axon mix and ZTE could have had a hit on its hands.